Christian Louboutin is not only interesting in its collections of red-sole-shoes and fabulous handbags but also has been creating many magnificent and out of the box window display concept. 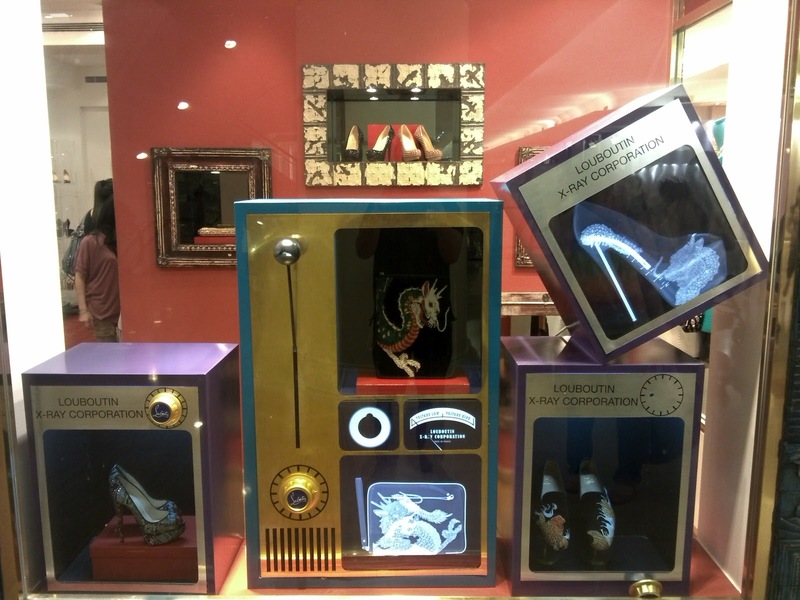 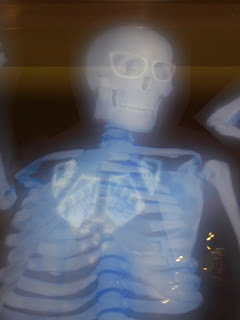 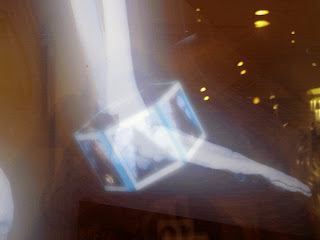 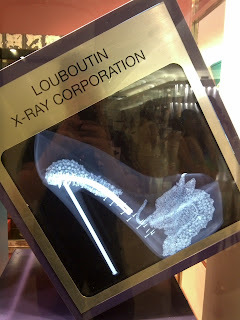 After last season's game box, now the window display of Christian Louboutin at Plaza Indonesia is decorated with X-ray photos. 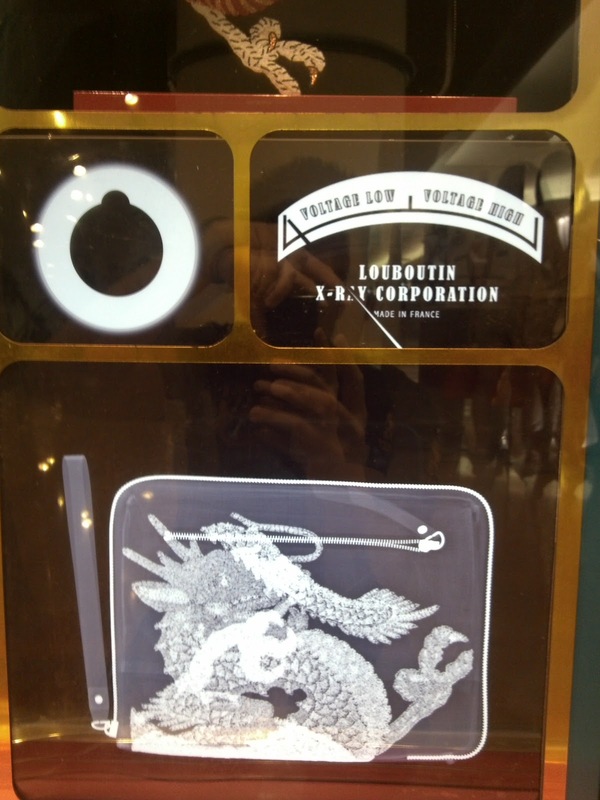 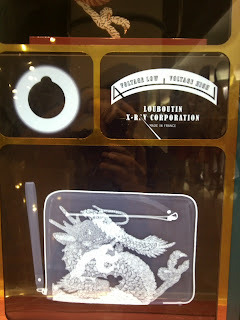 Louboutin X-Ray Corporation is the name of the 'company' that creates those photos. 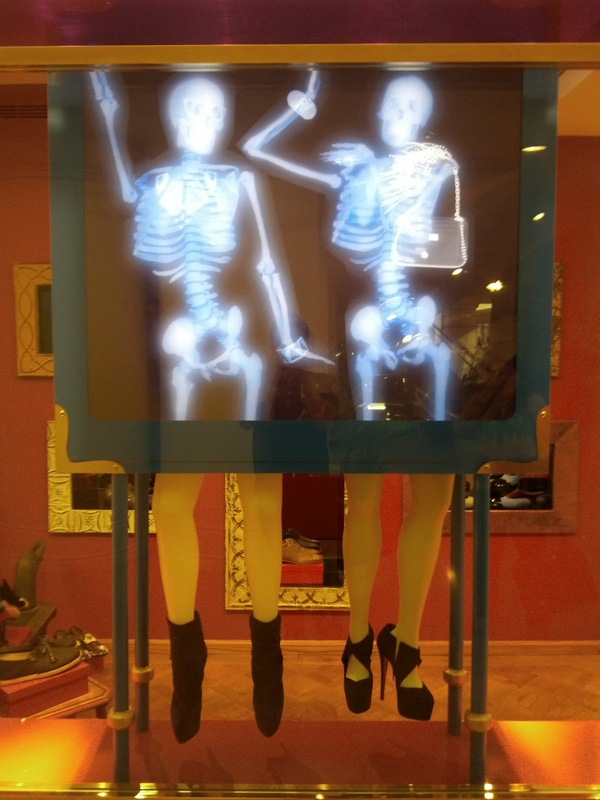 One of them is a very interesting one with two women x-rayed only from head to hip. The photo result shows their bones plus their jewelries and sunglasses. 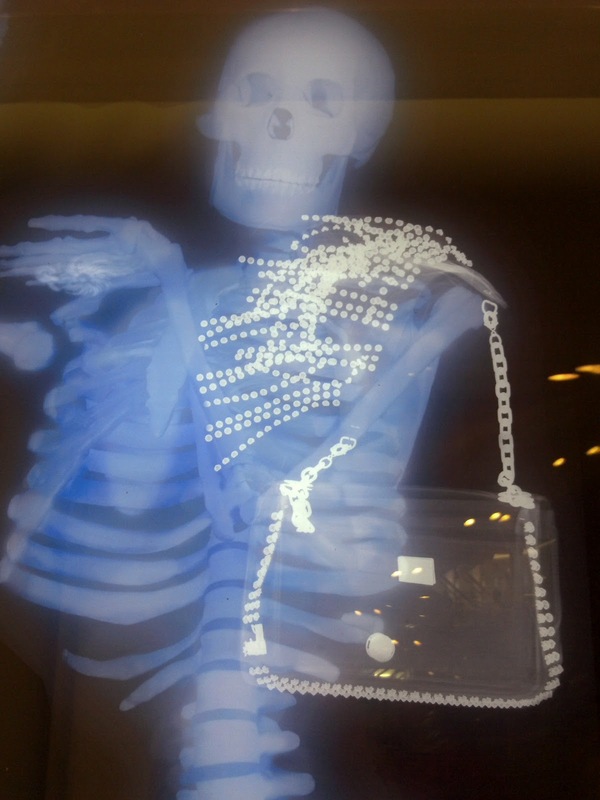 Fabulous, magnificent, creative !